Marokkanske myndigheter skal ha innført en regel om at utlendinger må søke tillatelse for å besøke saharawier. 5 uavhengige grupper melder om den nye rutinen. Human Rights Watch reagerer. Artikkelen nedenfor ble publisert på hjemmesidene på Human Rights Watch i dag. Bildet ovenfor viser sivilkledde politimenn utenfor hjemmet til saharawien Brahim Sabbar, tatt av spanjoler på besøk i 2008. (New York) - Morocco is taking another regressive step on human rights by blocking "unauthorized" visits by foreigners to the homes of Sahrawi activists in Western Sahara, Human Rights Watch said today. Since October 19, 2009, police have interrupted five such visits by Spanish journalists and human rights lawyers, telling them in each case that these visits they require prior clearance from the authorities. This practice, which has no apparent basis in Moroccan law, represents a new restriction on the rights of Sahrawis and of visitors to the region. Previously, plainclothes police generally did not interfere when foreigners entered the homes of known Sahrawi activists, although they often openly monitored such visits from a distance. "A country that prides itself on openness is now telling some citizens that they can't decide who may visit them," said Joe Stork, deputy Middle East and North Africa director at Human Rights Watch. "This is an unacceptable restriction on the right of association and the right to privacy." Restrictions on visits to the homes of Sahrawi activists coincide with a visibly tougher posture by Moroccan authorities toward those who advocate self-determination for the contested Western Sahara. Morocco has exercised de facto rule over the former Spanish colony since 1975 and considers it an integral part of Morocco. Other states have not formally recognized this claim. Seven Sahrawis have been in detention since returning October 8 from a visit to the Sahrawi refugee camps in Algeria that are administered by the Polisario Front. The Polisario is a pro-independence movement that contests Moroccan sovereignty and demands a referendum on self-determination for the people of Western Sahara. Moroccan authorities accused the detainees of harming "external state security" and referred their cases to a military court, a rare and ominous development for civilian defendants. King Mohammed VI himself has signaled the new tone toward Sahrawis who favor a vote on self-determination and who, effectively, question Morocco's claim of sovereignty over Western Sahara. "One is either a patriot, or a traitor," the king declared on November 6, the 34th anniversary of Morocco's "Green March" to take control of the region. "Is there a country that would tolerate a handful of lawless people exploiting democracy and human rights in order to conspire with the enemy against its sovereignty, unity and vital interests?" The foreign visitors who were forced to leave the homes of Sahrawis in the recent incidents were Spanish journalists and lawyers who traveled to Western Sahara to observe the trials of Sahrawis and to collect human rights information. In the most recent incident, on November 12, Luis Mangrané Cuevas, a lawyer representing the General Council of the Spanish Bar Associations (Consejo General de la Abogacía Española, CGAE) tried to visit Sultana Khaya, vice president of the Forum for the Future of Sahrawi Women, at her home in Boujdour. 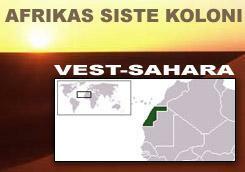 Mangrané had come to the region in order to observe the trial of Sahrawi activist Hassana Alouate. Police intercepted him near Khaya's house and said he would need authorization to enter. At the police station they told him he could meet with Khaya instead in a café. But when the two sat down in a café to talk, policemen arrived, ordered Mangrané to leave Boujdour and escorted him to a taxi station, where he boarded a taxi to El-Ayoun. On November 10, at about 7:30 p.m., Mangrané and Dolores Travieso Darias, another Spanish lawyer sent by the GCAE to observe a trial, visited Hassan Duihi at his home in El-Ayoun. 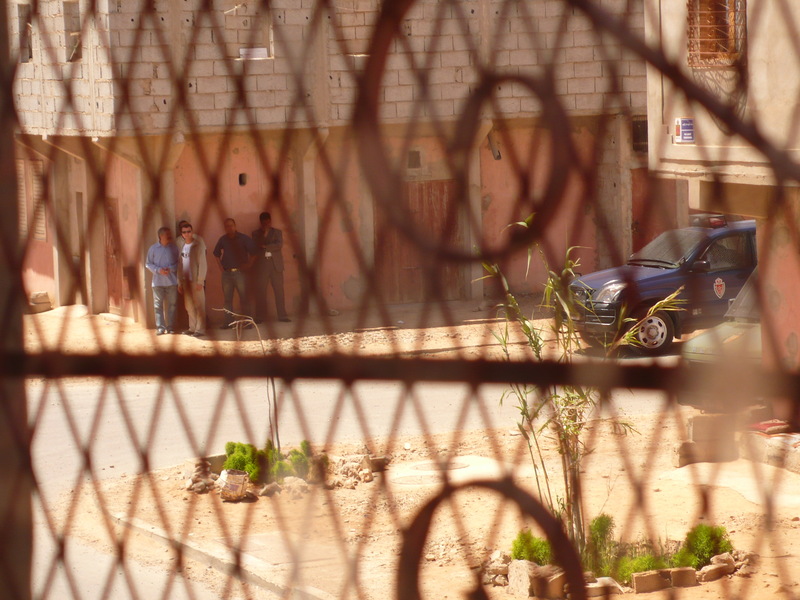 About 30 minutes later, plainclothes police came to the door and told Duihi, a member of the Sahrawi Associaton of Victims of Grave Human Rights Violations (ASVDH) who frequently receives foreign visitors, to ask the two lawyers to leave his home and return to their hotel. The police told Duihi that he must obtain prior clearance from the police for any foreigners he wants to have visit him at home. On November 3, at about 9:10 p.m., six plainclothes policemen came to the home of El-Ghalia Djimi, vice-president of the ASVDH, in El-Ayoun, during a visit by two Spanish lawyers. The lawyers, Ines Miranda and Araceli Fernàndez de Córdoba Cantizano, were in town to observe the trial of Sahrawi activist Cheikh Amidane, on behalf of the International Association of Jurists for Western Sahara, which is based in Spain. The police told the lawyers they had to get permission to visit homes from the Communications Ministry and ordered them to leave the house. Djimi had been receiving for years at her home foreign visitors interested in human rights without first notifying the authorities. Officials have now told her that she must get permission from them in advance when she wishes to have foreign visitors. On October 22, plainclothes police told two Spanish journalists, Beatriz Mesa of Radio Cope and El Periodico and Erena Calvo of Ser Radio and El Mundo daily, to leave the home of Sidi Mohamed Daddache, president of the Committee to Support Self-Determination in Western Sahara (CODAPSO), in El-Ayoun. Both reporters are based in Morocco and accredited by Moroccan authorities. On October 19, plainclothes police came to the El-Ayoun home of Hmad Hammad, vice president of CODAPSO, and ordered Ruth Sebastien Garcia and Simplico del Rosario Garcia to leave. The two Spanish lawyers had come to El-Ayoun in order to attend the trial earlier that day of Sahrawi student activist Mohamed Berkane. On three research missions between 2005 and 2007, representatives of Human Rights Watch visited many private homes in El-Ayoun and Smara, including those of Sahrawi activists. While plainclothes police frequently were visible observing the homes from a distance, they did not interrupt these visits. "Human rights activists, like everyone else, should be free to receive and visit whom they wish, without getting permission," said Stork. "Authorities who restrict that right look like they are trying to cut off the flow of information about their own practices."